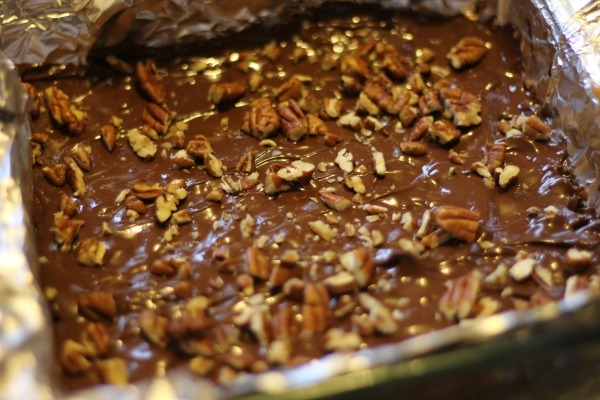 This treat is a traditional Toffee recipe with a kick of pecan flavor to give it a twist. The delicious sweet and buttery flavor of toffee you remember is so easy to make and so tasty that you will want to be sure and make some for your Christmas goodie gifting! I made this batch in a smaller pan to make it thicker which is how we like it- a higher toffee to chocolate ratio, but if you like yours more traditional use an 11×13 inch pan to prepare it. If you are doing any candy making this season I highly suggest you invest in a candy thermometer , this will give you great success with your candy recipes. 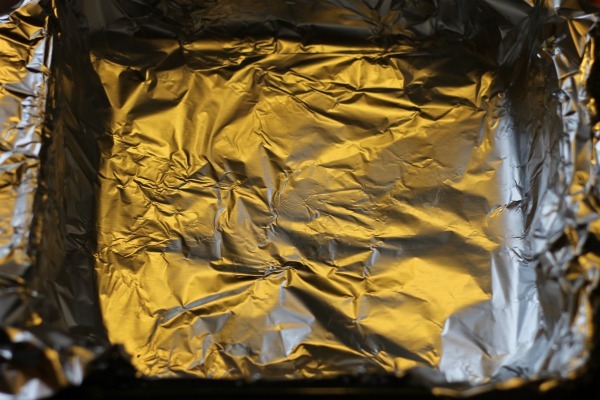 Line an 8×8 pan with aluminum foil so that it goes up and over the sides all the way around. 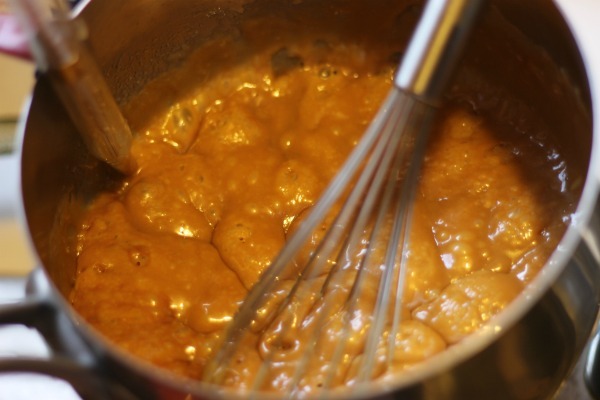 Place butter, salt, and sugar in a large saucepan over medium heat and bring to a boil, stirring frequently until temp reaches approximately 285 degrees and mixture has turned to a dark caramel color. Remove from heat and stir in pecan flavor/extract. 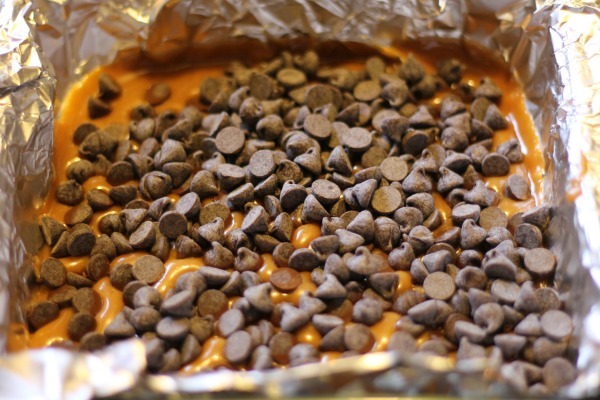 Pour mixture into foil lined pan and immediately sprinkle chocolate chips evenly over top. Let it rest for 3-4 minutes to soften chocolate chips then spread with a spatula. Quickly sprinkle nuts on top of melted chocolate and tap into it with your spatula. Pop your pan in refrigerator to set quickly then remove and break into smaller pieces. Keep toffee refrigerated in an airtight container, this can also be kept in freezer. Thank you for putting the link to the extract in the recipe, I’ve never seen pecan extract…and I’m a cook!!! Ohhhh this looks so so delicious! I really need to buy a candy thermometer one of these days! I don’t see the amount of sugar that is needed for this recipe. I just love this toffee, thanks for linking up with us at Showcase Your Talent Thursday! 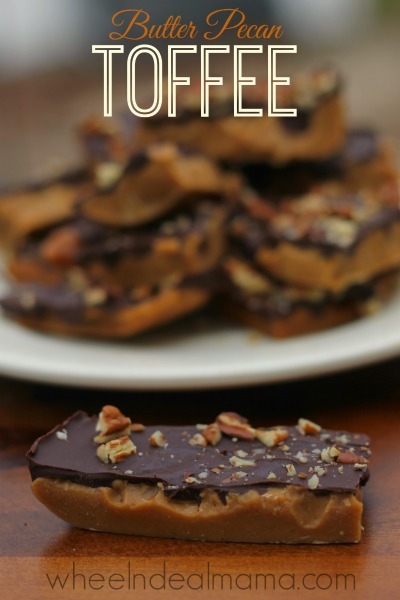 We love Toffee, this looks great! Thanks so much for sharing with Full Plate Thursday and have a very special Christmas week!